Onerous capital requirements by various banking regulations continue to reduce banks’ lending capacity. This trend has been accelerating, at least in Europe, since the financial crisis in 2008. The resulting funding gap leads to an increasing demand for additional sources of capital – e.g., from institutional investors. From an investor perspective, this new investment opportunity – known as Private Debt – offers attractive yields and significant diversification benefits. While, historically, banks have been dominating private lending, we expect non-bank financing to grow significantly in Europe over the coming years, similar to the US. In addition, the US capital markets are already today significantly larger than the US banking market. But also in Europe, Private Debt enables more projects that would not have been realized without this financing option. Thus it makes an important contribution to economic activity and growth. We define Private Debt as encompassing all debt claims that have not been issued publicly, irrespective of the type of borrower, legal format, rank, etc. 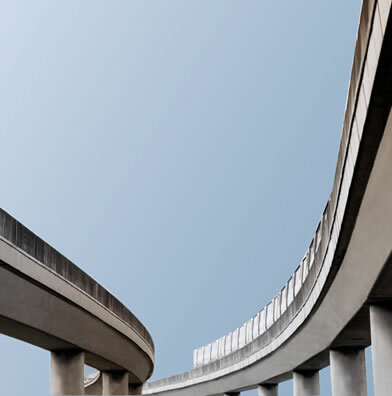 Effectively, only large corporations use the public debt market due to the significant costs associated with public offerings, reporting, and compliance requirements. Thus, borrowers resorting to Private Debt are inherently different from issuers in the public market, suggesting there are diversification benefits. As opposed to publicly-issued debt, Private Debt claims are often collateralized or protected by strong covenant packages. Private Debt as an asset class offers significant yield pick-up vs. publicly-issued debt of comparable credit quality. 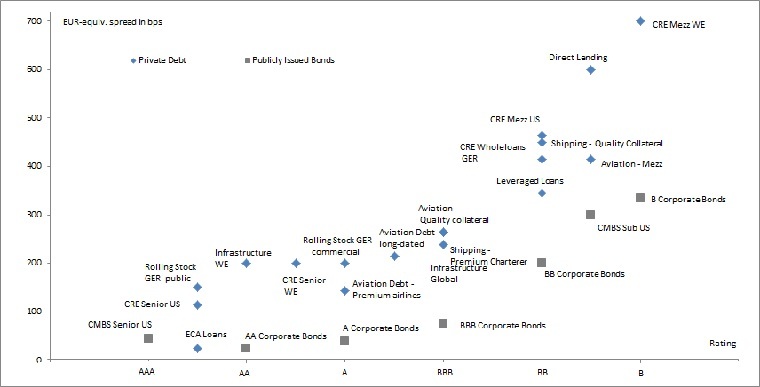 The following graph shows a snap shot of various Private Debt segments against corporate bonds of the same Rating. Due to the private nature of Private Debt, obtaining data on returns is generally difficult. 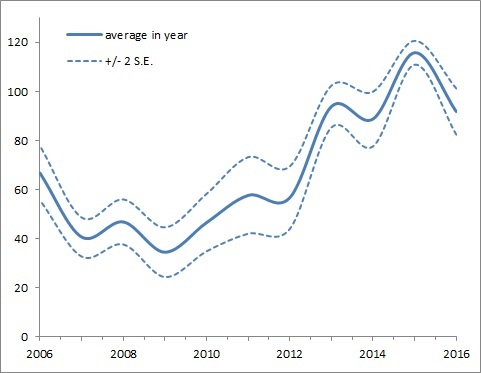 Therefore, recent joint research by the European Business School, Wiesbaden and Prime Capital use the ECB’s Bank Interest Rate Statistics to construct time-series data on Private Debt performance. The following graph shows the residual difference in large corporate loan interest rates after correcting for the risk-free interest rate and the credit risk component. This residual may be interpreted as a liquidity or complexity premium for Private Debt. The premium is currently around 100 bps and has been increasing in recent years in the wake of tightening bank Regulation. Using the time-series data above, correlations between Private Debt traditional asset classes such as Equity, Corporate and Sovereign Debt may be calculated. In general, correlations are significantly below one, in most cases even below 0.5, confirming that Private Debt offers appealing diversification benefits to typical investor portfolios. Diversification benefits may also be estimated by analysing the effect of adding Private Debt to a typical investor portfolio. As a result, the efficient frontier of a traditional portfolio could be significantly improved with Private Debt. Due to collateral and covenants, Private Debt generally provides significantly better protection against credit risk than comparable publicly-issued debt. 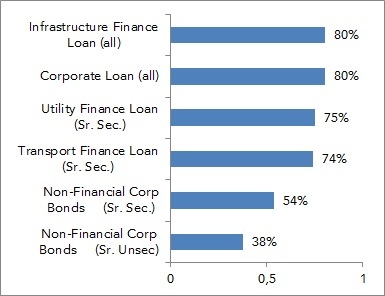 The following graph shows the recoveries of various debt Segments. It is expected that the share of Private Debt financings will increase steadily. Institutional investors develop a deeper understanding of the asset class and will continue to investigate the various sub-asset classes in much more detail. The capital supply of these investors will intensify the shift of the market share from traditional credit (bank) markets to Private Debt (investor) markets. Prime Capital has been a pioneer in making aviation debt accessible to institutional investors and has since been expanding its Private Debt capabilities into Corporate Lending, Infrastructure and Real Estate financing and expects significant further asset growth in these areas. See Guizo, Gintschel, and Paterlini: The Components of Private Debt Performance; EBS Working Paper, June 2017.